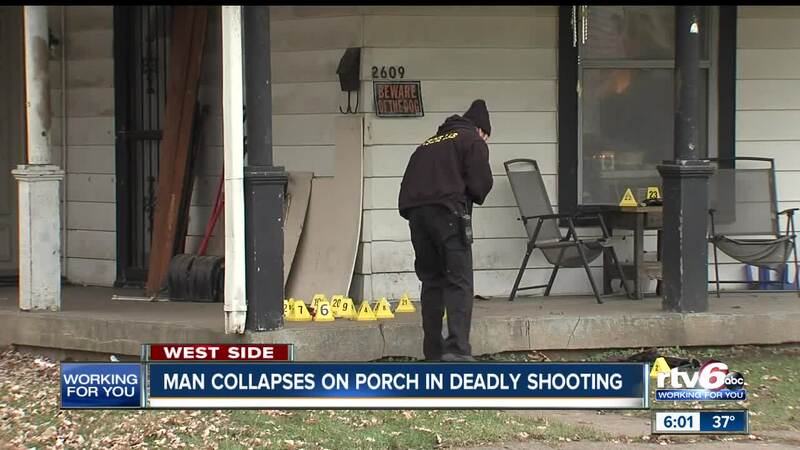 INDIANAPOLIS — A man is dead after they were found suffering from multiple gunshot wounds Saturday morning on a porch on the westside of Indianapolis. Indianapolis Metropolitan Police Department officers and emergency responders were called around 8 a.m. to the 2600 block of Jackson Street on the report of a person shot. Officers arrived less than a minute later and found a man who was shot multiple times, IMPD said in a press release. According to IMPD, the victim was transported to Eskenazi Hospital where they later died. The identity of the victim or a suspect have not been released.